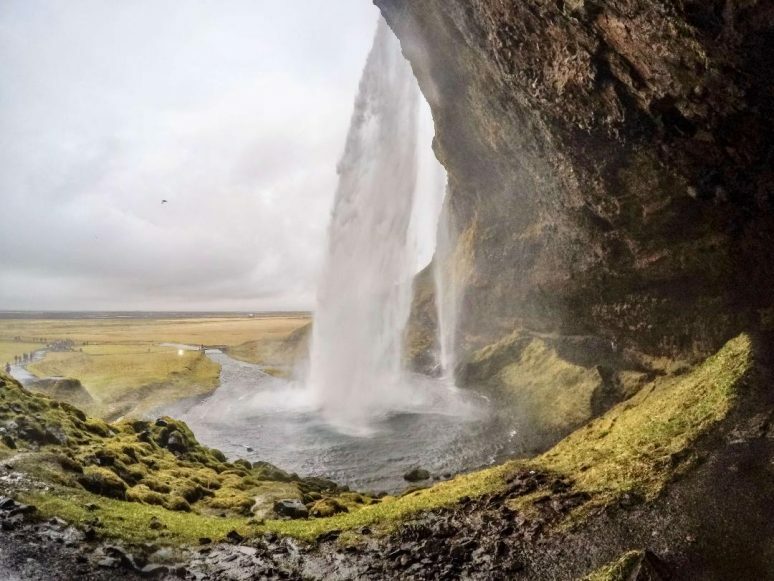 Photos of Iceland’s jaw-dropping natural scenery frequently circulate online these days, and it would seem that there isn’t a person alive who is immune to the rugged beauty of this tiny, unspoilt island. Floating between Greenland and Scandinavia in the ice-cold North Atlantic, the so-called ‘Land of Fire and Ice’ is an incredible contrast of volcanos and glaciers that will leave even seasoned travellers speechless at every turn. 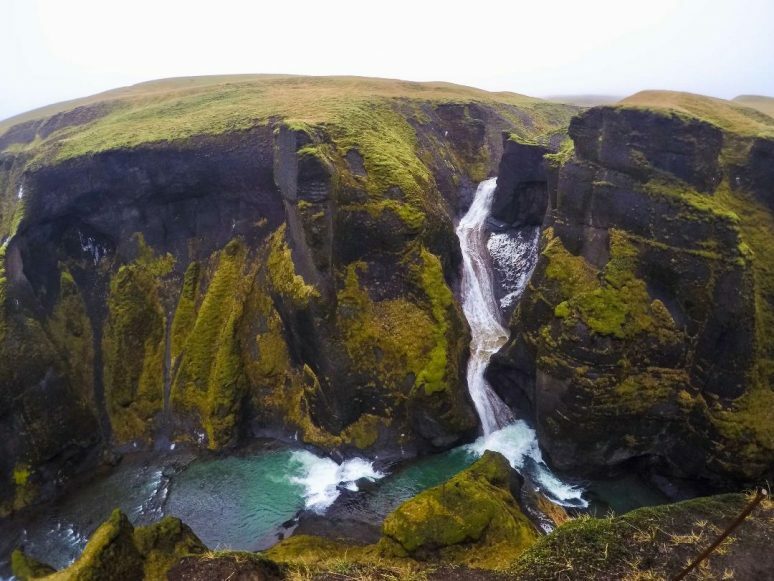 To truly discover the beauty of this unique destination, embark on an Iceland road trip on Þjóðvegur 1, Iceland’s popular Ring Road, and build your own itinerary of lunar beaches, glacier lagoons, and thundering falls. The only challenge will be fitting everything in! 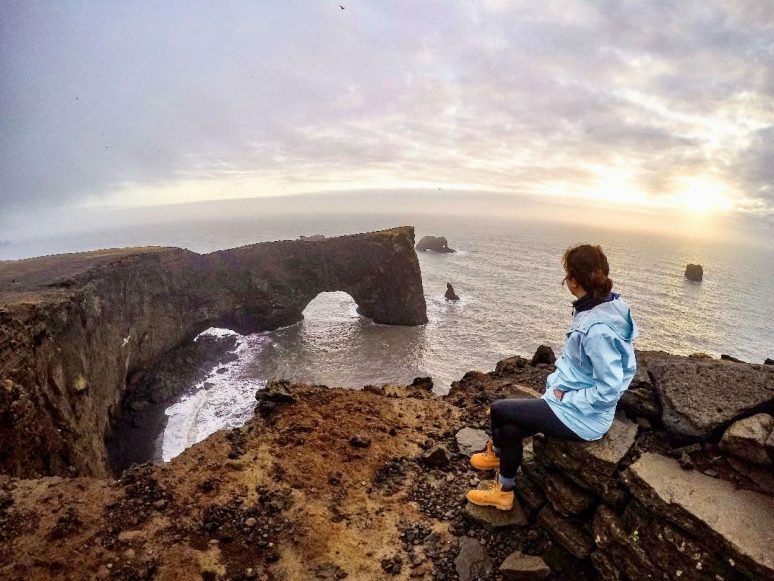 Jutting out 120m over the water from Vík í Mýdral’s impossibly beautiful Black Sand Beach, Dyrhólaey Arch, the first stop on your Iceland road trip, represents the southernmost point of mainland Iceland and provides an incredible photo opportunity. You can reach the lookout by taking 218 off the Ring Road (near Vík) and following the road right up the hill. 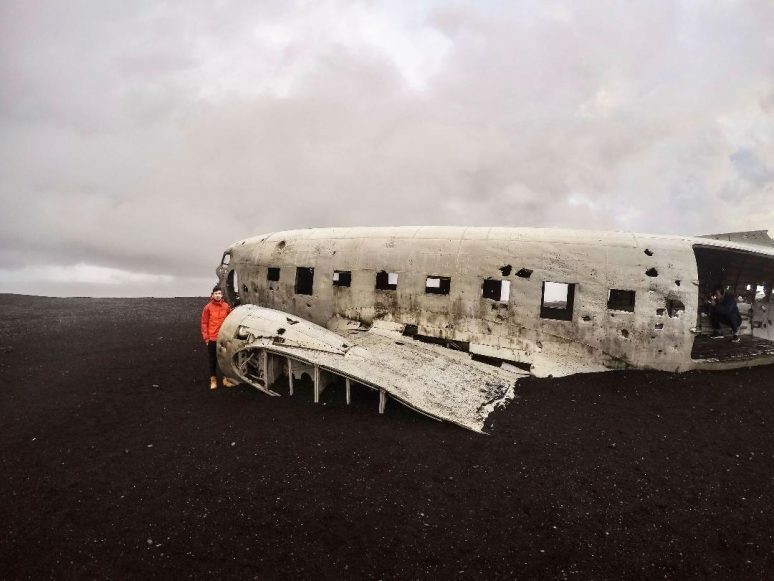 In the 1970s, a US Military DC-3 plane crash-landed (thankfully with no casualties) on the black sand of Sólheimasandur Beach due to poor conditions, and the wreckage of this flight is now one of the most photographed sites in all of Iceland. Just past Sólheimajökull as you head east on the Ring Road towards Vík, notice a make-shift carpark on the side of the highway. The walk to the plane is 4km from this point, but it’s incredibly flat and well-worth your time. Sprouting off of Vatnajökull, Europe’s largest ice-cap, the third stop on your Iceland road trip is this impressively blue glacier, an incredible sight (even in less-than-ideal weather). 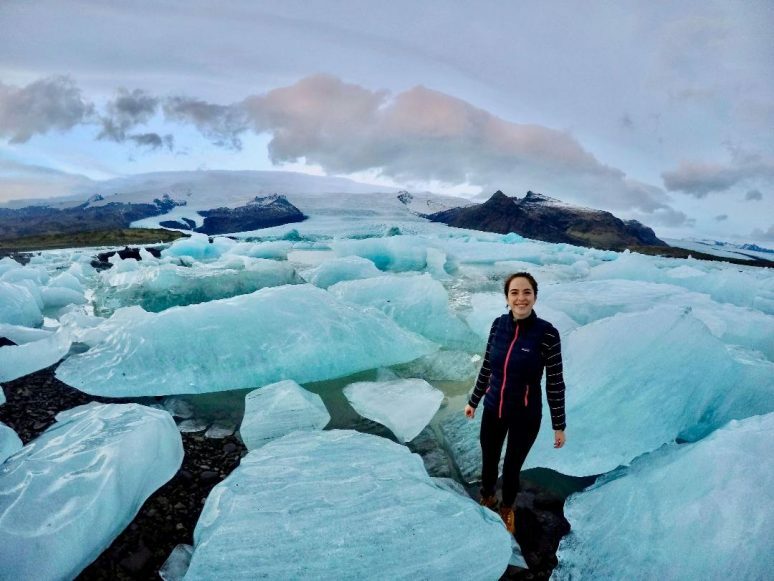 There are several trails of varying length that offer views of the ice (enquire at the nearby visitor centre), or you can join a glacier hike to explore beyond the perimeter of this natural wonder. Covering nearly 14% of the country, Vatnajökull is Europe’s second largest national park, and includes some of Iceland’s most popular sights, such as the Jökulsárlón glacier lagoon, Svartifoss waterfall, and, of course, the Vatnajökull glacier and its brilliantly blue ice caves. 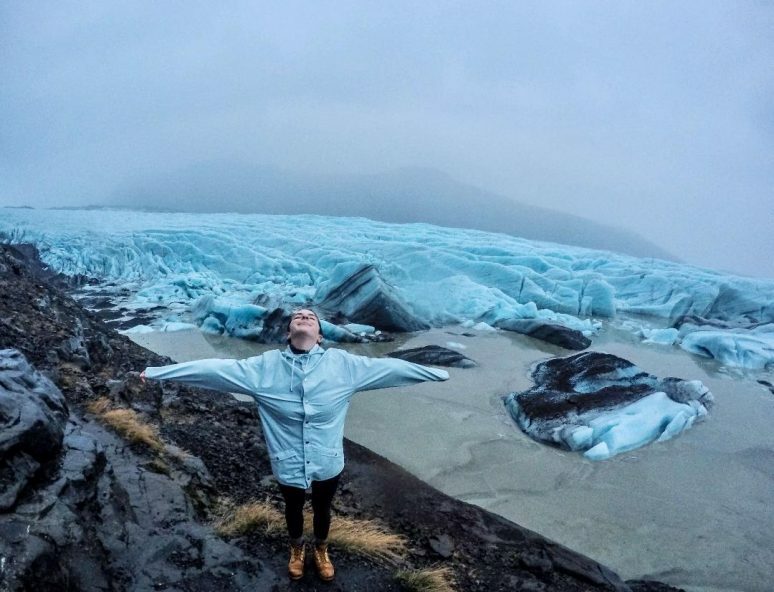 Wander through this frozen world on a tour with Local Guide of Vatnajökull. Plunging over 60m from the cliffs in front of a large cave, it’s easy to see why this is one of the country’s most beloved waterfalls (and there is no shortage of contenders). Find Seljalandsfoss just off the Ring Road near Hvolsvöllur, and explore the network of paths leading behind and around the falls for some incredible photos. 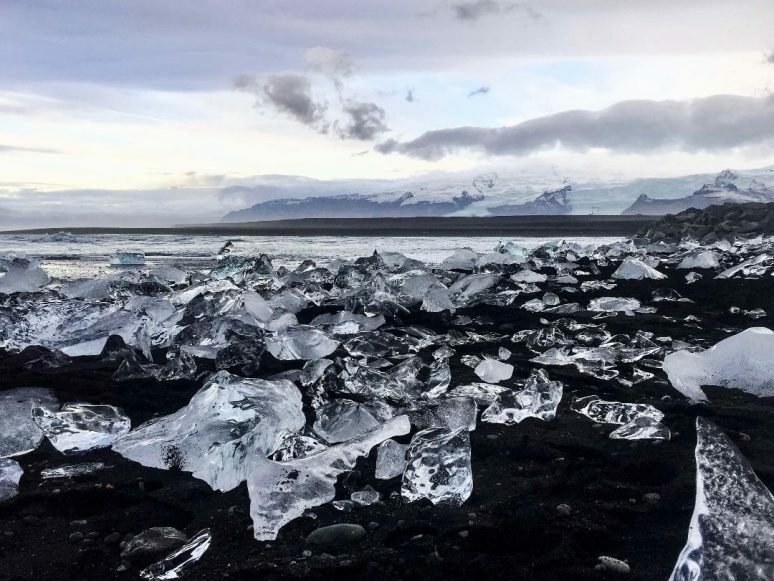 Unduly over-shadowed by nearby Jökulsárlón, this peaceful glacier lagoon in Iceland’s south-east is one of the most magical places you’ll ever lay eyes on. At first light, the sky glows an unnatural cotton candy pink as the enormous chunks of ice provide a perfect contrast of bubble gum blue beneath the snow-capped glacier. This glacier-capped volcano actually erupted as recently as 2010, evacuating nearly 1,000 Icelandic residents and spewing enough volcanic ash into the air to ground all flights in western Europe for a week. 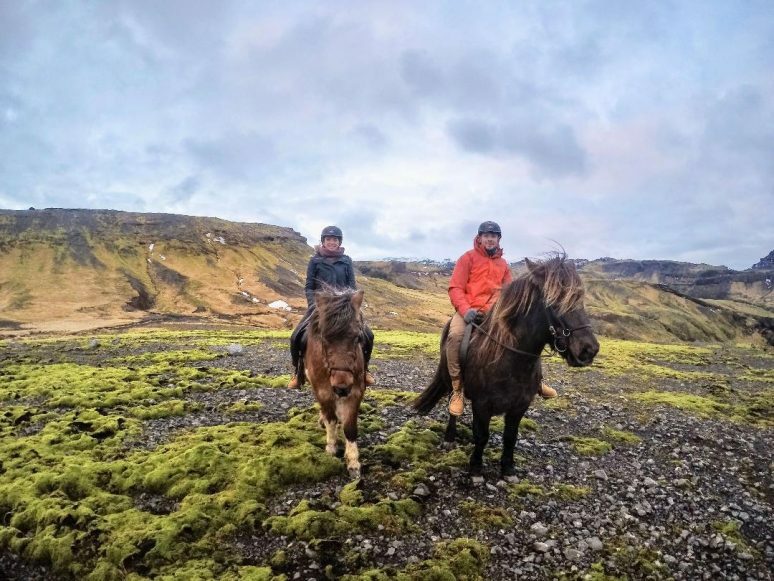 Its tumultuous history aside, Eyjafjallajökull, with its many lava fields and ice-caps, is beautiful to explore, particularly on horse back. Join a guided ride up the glacier at nearby Skálakot farm for the full experience. This small but stunning crater lake is part of Iceland’s touristic Golden Circle route, but somehow seems to receive much less traffic than sites like Gullfoss and Geysir. All the better to enjoy the red volcanic caldera and the brilliant blue water all to yourself. Entry is a modest 400ISK (~€3) payable upon arrival. 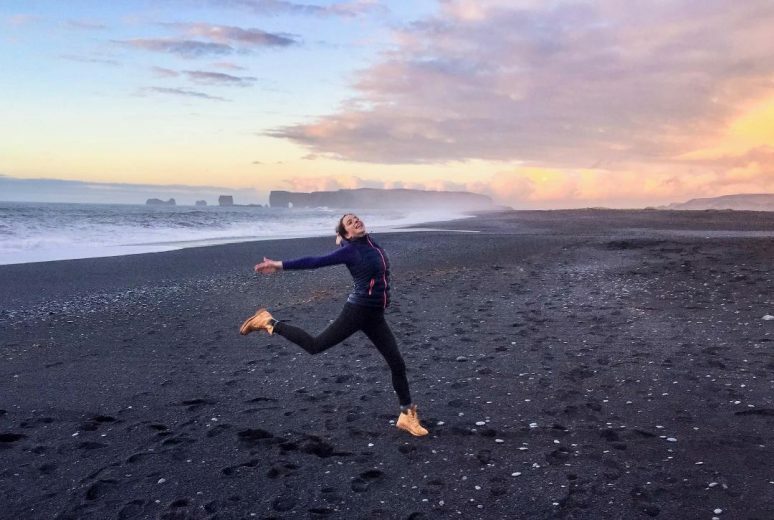 Near Vík í Mýdral, this beautiful black sand beach was formed as lava flowed into the icy ocean and was instantly hardened; the shiny black pebbles we see today are a result of constant erosion from lapping waves. It’s not just the “sand” of this beach that makes it note-worthy, however. 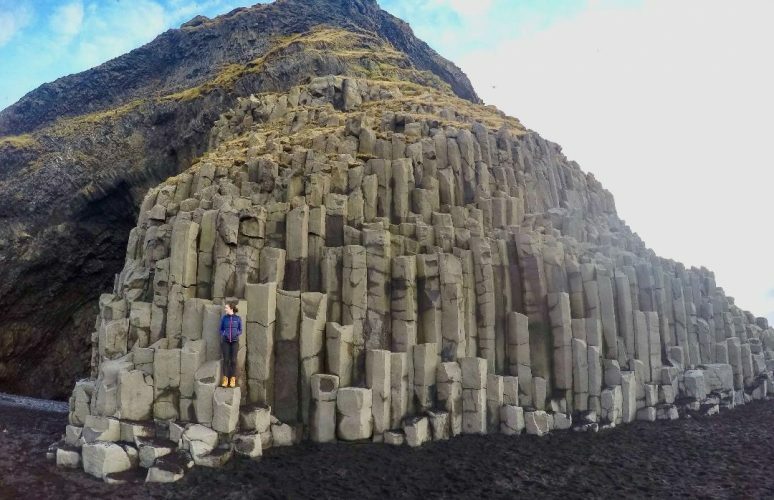 Jutting out from the sea, the Reynisdrangar basalt “sea stacks” have eroded completely away from the Reynisfjall mountain they once belonged to, and the Gardar hexagonal basalt columns dominate the beach-front with an almost unnatural symmetry. 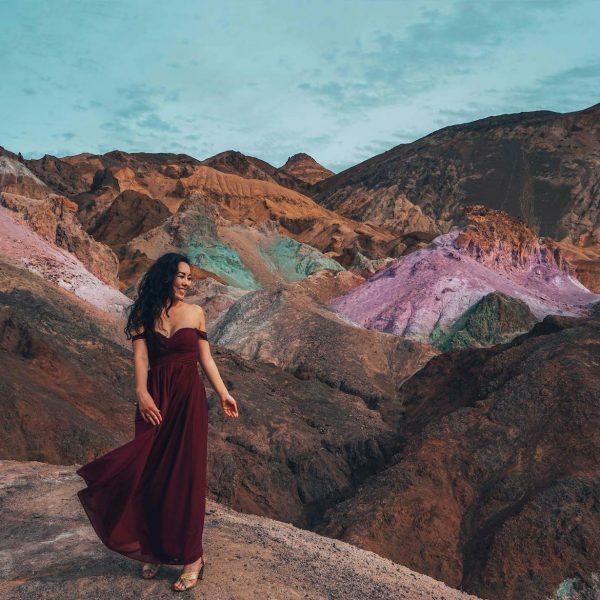 Suspected to have formed at the end of the last Ice Age nearly 9,000 years ago, this fascinatingly serpentine canyon presents a somewhat other-worldly landscape above the ice-blue River Fjaðrá. Near Kirkjubæjarklaustur, follow Road 206 for just a minute before reaching a small carpark, where you can hop out and clamber all over the cliff’s edge. 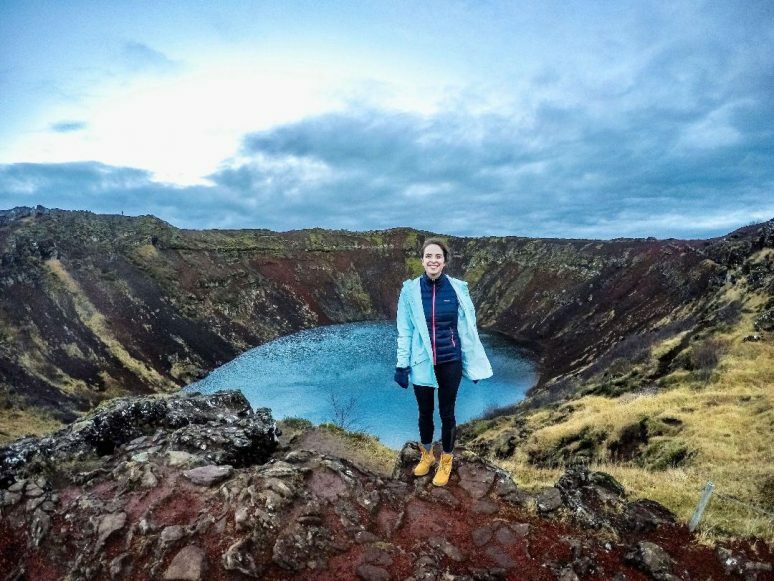 If these beautiful spots have encouraged you to visit southern Iceland, we’ve still only scratched the surface of what’s to come. 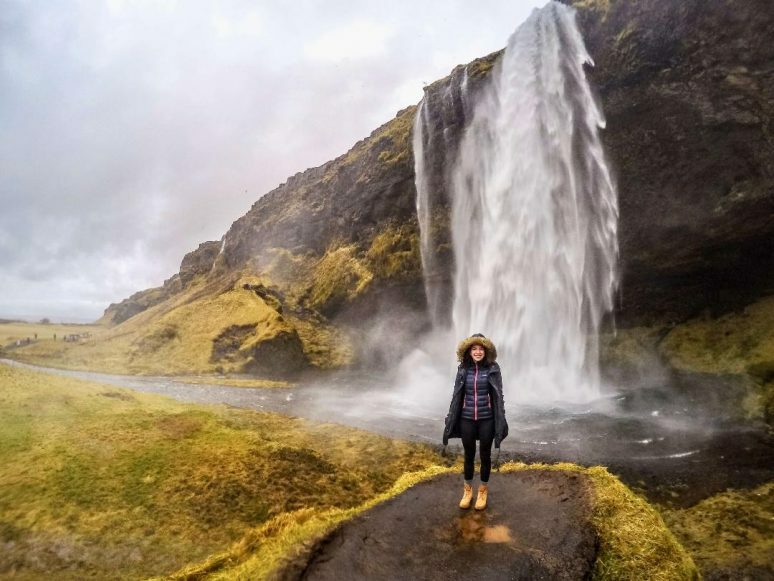 From the popular Golden Circle to the dramatic Snæfellsnes Peninsula, prepare to be positively blown away by this bucket-list destination on your Iceland road trip! 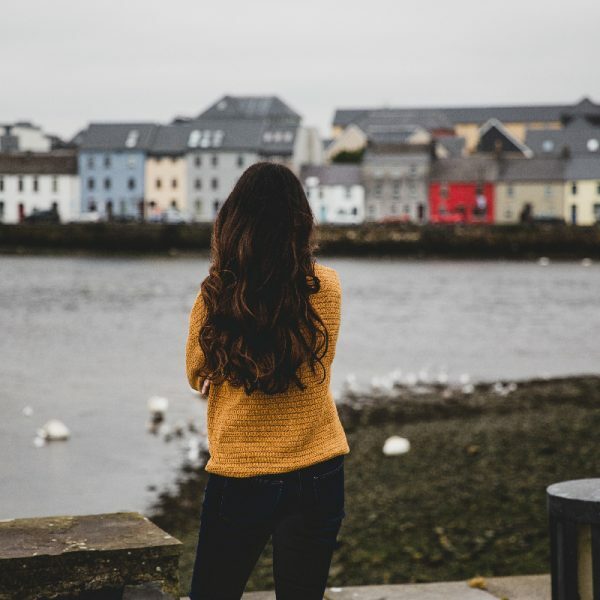 When to visit: Iceland is an extremely popular summer destination, with great hiking, sunny weather, and nearly non-stop daylight hours. 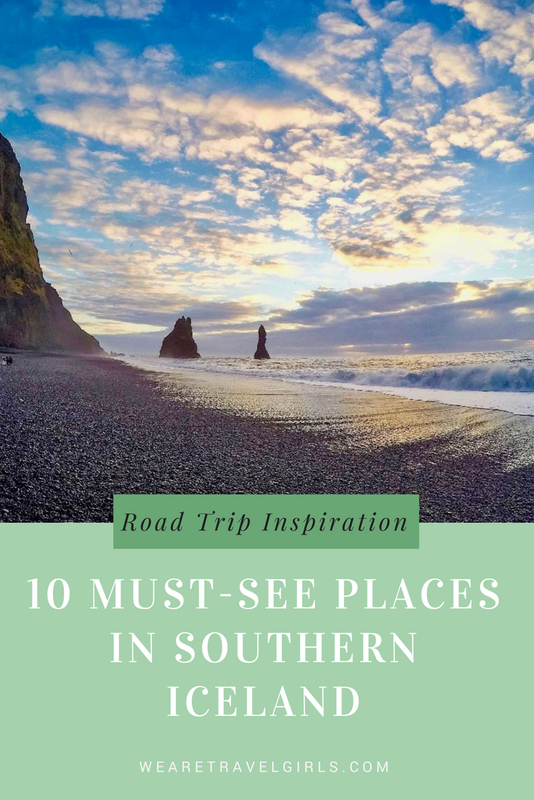 However, it can also make for a fantastic winter road trip, with fewer tourists, a magical dusting of snow, and the Northern Lights. If you do make the trip in winter, just adjust your itinerary to account for the shortened daylight hours (11am – 3pm) and the possibility of inclement weather. The Ring Road is well-maintained and routinely snow-plowed, so the driving is manageable as long as you take basic safety precautions. Car hire: Keflavik International Airport offers a number of car hire options, with a nice AWD SUV costing around €50/day. Even in winter, it is unlikely that you will need 4WD (the snow tires on an AWD should be sufficient), but you may consider it if you plan to leave the Ring Road for camping or other excursions in summer. 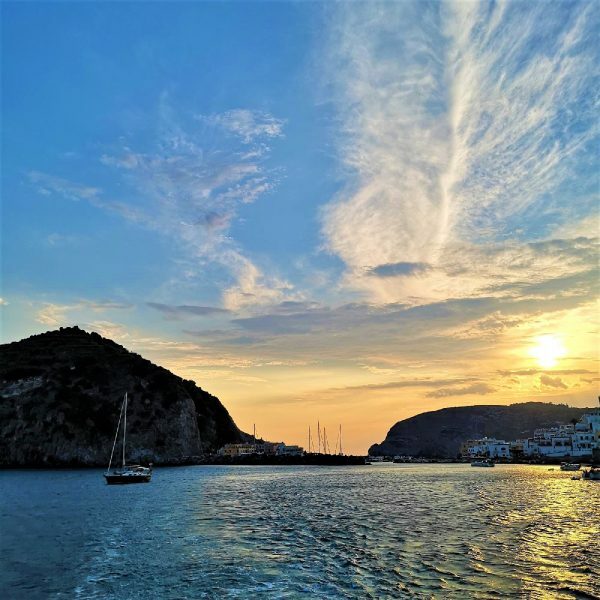 When you hire a car, it’s also a good idea to include a portable Wifi hotspot (~€10/day), which will allow you to easily navigate, as well as provide peace-of-mind connectivity in the unlikely event of an emergency. Where to stay: Accommodation in Iceland is expensive, with a double room at a decent hotel coming in at €60-100, depending on the area. In winter, the cold weather will force you to stay inside, and it’s usually advisable to book your hotels/Airbnb’s in advance to avoid arriving expectantly at a full hotel and finding no other accommodation for 200km. In summer, however, you will also have the option of camping or even hiring a camper van to sleep in (most companies stop renting vans on 1 December and will resume at the end of winter). What to eat: Like everything else in Iceland, the food is amazingly expensive, with a simple restaurant meal costing €40-70 and even fast-food upwards of €20. It’s not a bad idea to stock up on lunch supplies at a supermarket in Reykjavik to help save money. Many hotels also offer free breakfast included in the room rate, so be sure to take full advantage of this! Planning your route: Limit your daily driving, as you’ll be stopping your car every few minutes to take photos of new scenery. In winter, aim for just 2 hours, while you can comfortably double that during summer. If you are pressed for time, opt to drive just a section of the Ring Road rather than making the whole loop—I guarantee, you will never be bored, even if you drive the same 100km stretch of highway for 10 straight days. We hope that this article has inspired you to visit Iceland. If you have any questions about the destination please leave these in the comments below.